Apple sets a new benchmark in display and computing with its Apple MacBook Pro. 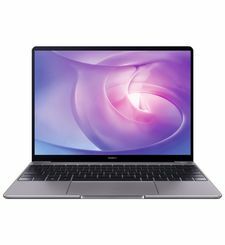 The device employs a 13 inch Retina Display, which gives the best display performance in its class and among previous generations. This display is 4 times sharper and has more pixel to pixel accuracy which provides stunning picture quality. With its 2.5 GHz Dual Core Intel i5 you can handle high computing tasks and produce quick results. It provides great computing power to run apps, games and many more processes. The 8GB RAM improves system performance and provides seamless multitasking between applications. The MacBook Pro features a 512 GB HDD. Additional storage space can be added via the Thunderbolt and USB ports. The Apple Mac Book Pro beautifully embeds cutting edge technology in a slim design. It employs the revolutionary Retina Display that includes 4 times the pixels in the same space as the older version. This display gives a superior quality resolution and lets you view sharper and clearer pictures. The all flash architecture with latest processors gives best in class computing experiences. You can use and carry the Apple Mac Pro with ultimate ease because of its amazingly sleek dimensions. 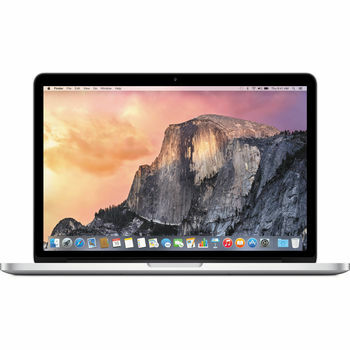 The 13 inch MacBook Pro with Retina Display employs the powerful fourth generation dual core Intel core i5 processors. It has a 2.4 GHz frequency, 6MB shared L3 cache memory and Turbo boost that speeds up to 3.8GHz. This configuration allows you to accomplish complex tasks in a short span of time, which can be helpful in apps like Final Cut Pro.